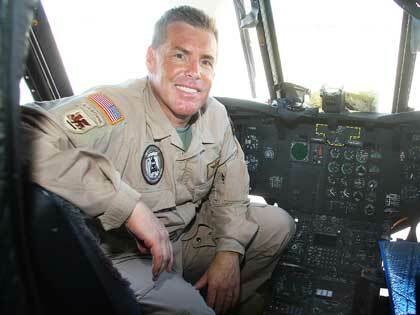 Sean Laycox is an accomplished pilot with over 30 years of military and civilian flying experience. He has acquired 7,600 total hours of rotary and fixed wing flight time; 6,200 hours as a Pilot-in-Command. In addition, he has invested 3,200 flight hours instructing others to fly multi-engine airplanes and helicopters. During his 29 years with the U.S. Army and Nevada National Guard, Mr. Laycox was deployed on a humanitarian support mission in Panama from 1990 to 1991 flying the Chinook helicopter and then flew in support of U.S. interests flying reconnaissance airplanes over El Salvador during that country’s civil war from 1991 to 1993. In 2002 to 2003 he deployed on a peacekeeping tour to Bosnia flying airplanes. He was sent to Afghanistan in support of Operation Enduring Freedom and back to the Chinook helicopter as the unit Standardization Pilot in 2005 and 2006. While serving in Afghanistan, Mr. Laycox repeatedly put his life on the line when piloting his Chinook helicopter during a deliberate assault mission to insert a Quick Reaction Force into a hostile area looking for a high value target and later repositioning soldiers and transporting the dead and wounded out of the area amid heavy enemy fire. In September 2005, Mr. Laycox received the Distinguished Flying Cross for this mission and two Air Medals with valor for other combat missions flown during deployment. Pilot/Instructor: Mr. Laycox is currently employed as a USFS carded pilot and instructor for the Nevada Division of Forestry. His duties include fire fighting, long line vertical reference missions, reconnaissance flights, and wildlife support missions flying a Bell 205 helicopter. He is also a contract pilot with Reno Flying Service as a Citation II pilot performing medical evacuation flights out of the Reno area. Chief Pilot for the Nevada Army National Guard: Managed flight operations section and oversight of instructor pilots, safety officers, aviation life support, and flight operations personnel. His responsibilities included training and evaluating instructor pilots and flight crews flying the King Air BE-200 airplane, and various helicopters such as the Chinook BV-234, Blackhawk US-60, and Lakota UH-72. In addition, he was the aviation accidents and incidents investigator representing the organization on all state, national, and local safety and standardization councils. Assignments were performed all over the world. Pilot-in-Command: Pilot/U.S. Army Aviation: Responsible for flying U.S. Army intelligence, surveillance and reconnaissance airplanes and helicopters. Planned, coordinated, and executed single and multi-ship missions for both tactical and administrative flights. Missions ranged from cross-country passenger and cargo flights, search and rescue missions and aerial reconnaissance operations. Mr. Laycox graduated from Southern Illinois University with a Bachelor of Science degree in Aviation Management. In addition to his duties as Chief Pilot, he has also received the title of Aviation Safety Officer and completed the Airplane and Helicopter Instructor Pilot course and Instrument Flight Examiner course from the U.S. Army Aviation Center. He also completed training as a Helicopter Mountain Instructor Pilot through the High Altitude Army Aviation Training Site and an Advanced Aircraft Investigation course offered by the Federal Aviation Administration. He currently holds the Airline Transport Pilot license for airplane and helicopter as well as flight instructor and instrument instructor ratings for both airplane and helicopter.